Eye exams are a crucial component of maintaining optimum eye health for life. However, the process can be a bit intimidating if you don’t know what to expect. The following guide illustrates different components of eye exams and how they determine the overall health of your vision. You’re probably familiar with the eye chart present in most eye doctors’ offices. This is used to measure visual acuity or the sharpness of your vision. You’ll be asked to cover one eye and read off numbers and letters from the chart at a specific distance. Once the results of the test are received, you’ll receive your score, which is established using Snellen fractions. 20/20 vision is normal, while measurements reading 20/40, 20/60, and so on indicate a need for corrective lenses. Ocular motility refers to how well your eyes move. Accordingly, this test entails looking at an object about 16 inches in front of you and following its motion with your eyes. Your eye doctor will look for things like shaking, wobbling, crossing, or problems with eye muscles. Addressing any issues is crucial, as problems with eye muscles can entail numerous complications and may impair your vision permanently. Glaucoma is a very serious eye condition that can cause blindness if left untreated. Because early detection is so important, eye doctors recommend testing every two to four years before age 40, and every one to three years thereafter. There are a few different methods used when checking for glaucoma. For instance, tonometry measures eye pressure, which increases with glaucoma. There is also the dilated eye exam, which provides insight into the health of your optic nerve. 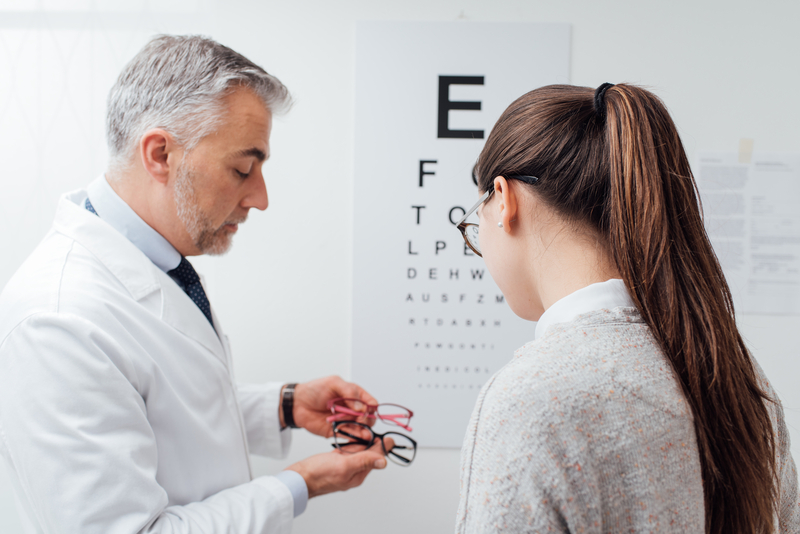 If it’s time for your eye exam, the team at Griebenow Eyecare will perform a comprehensive examination of your vision. They offer more than four decades of experience, which helps them identify eye conditions and diseases, as well as find the perfect prescription for you. If you need glasses, they offer a wide selection of frames so you can see better in style. They also offer consultations for refractive surgery and contact lens fittings. Schedule an exam in Clintonville, WI, by calling (800) 427-9585 today. You can also visit their website to see the complete listing of services. Our New London clinic is open Monday through Friday, 8 a.m.-5 p.m., with evening hours on Mondays and Wednesdays until 8 p.m.